High Court of Chhattisgarh, Bilaspur, has advertised vacancies for Assistant Grade III, Data Entry Operator, Programmer, Engineer, Librarian etc. 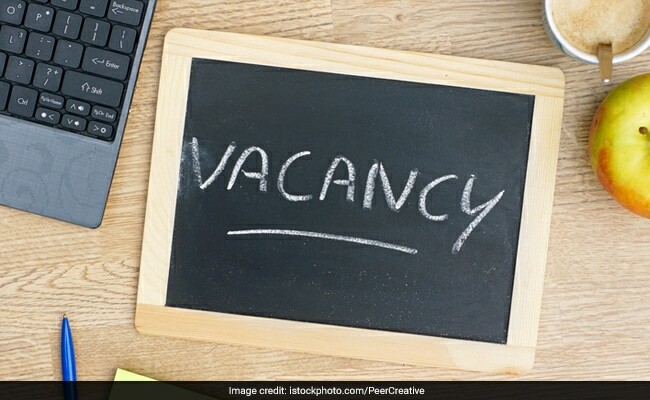 NEW DELHI: High Court of Chhattisgarh, Bilaspur, has advertised vacancies for Assistant Grade III, Data Entry Operator, Programmer, Engineer, Librarian etc. A written test and skill test will be conducted for recruitment on all the posts advertised. An interview will also be conducted for some of the advertised posts. Candidates can check the details on selection procedure through the official advertisement. Last date to apply online: December 2, 2018 till midnight. Candidates can check the respective academic qualification required for each post in the official notification. The lower age limit is 21 years and upper age limit is 30 years. Upper age limit will be 40 years for bonafide resident of Chhattisgarh only. The upper age limit shall be relaxable upto a maximum limit of 5 years for the candidates belonging to Scheduled Caste, Scheduled Tribe, and Other Backward Classes of Chhattisgarh State. The upper age limit shall be relaxable upto a maximum of 10 years for the Women candidates who are local residents of Chhattisgarh. The online application form will be available on the CG VYAPAM official website: www.cgvyapam.choice.gov.in.